HOUSTON (October 5, 2018) -The crash was reported at 10:00 a.m. Thursday morning at the intersection of Crosstimbers and Fulton streets. 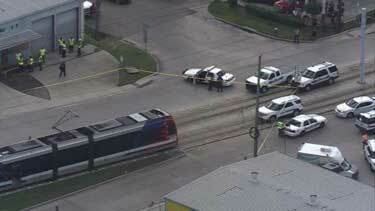 A male pedestrian was crossing the tracks when he was struck by the METRORail train. One driver was trying to get his attention by screaming but nothing to prevent the accident happened in time. The victim died on the scene. He has not been identified. The train operator and the passengers onboard the train were not injured. Investigators on the scene closed service for more than four hours. The cause of the crash is being investigated. If you or a loved one were involved in bus or train accident, it is important to contact a legal expert to help you evaluate your options. Call (713) 987-7111 or send us an email to discuss your car accident injury case.